Sanjeev Gupta’s metals and industrials group, Liberty House, has set its sights on a key role in the global oil and gas pipeline sector after completing the purchase of two pipe mills at Hartlepool from Tata Steel UK and appointing top steel pipe specialist, James Annal, to head its new pipe and tube division. Liberty, which is part of the GFG Alliance, announced that it intends to rebuild the previously struggling operation at Hartlepool – adding around 100 new jobs to the existing 140-strong workforce – and to position the Group in the vanguard of the 50m tonne a year global oil and gas pipe market. James Annal, who starts as chief executive of Liberty Pipe is one of the most prominent and experienced leaders in the global steel industry’s pipe sector, having been chief executive of tubular products across Europe, Africa, the Middle East and Asia for ArcelorMittal, the world’s largest steel company. The addition of the Hartlepool pipe mills brings Liberty’s UK workforce to nearly 5,500 people spread across more than 30 sites, making it one of Britain’s largest industrial employers. 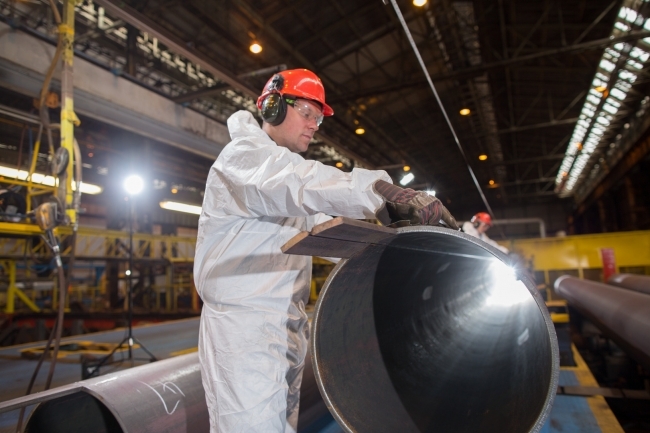 Under the planned agreement, the neighbouring 20-inch mill, which makes high-frequency induction (HFI) pipe, would remain in the ownership of Tata Steel UK as it is linked to the company’s strip products business centred on steelmaking in Port Talbot.